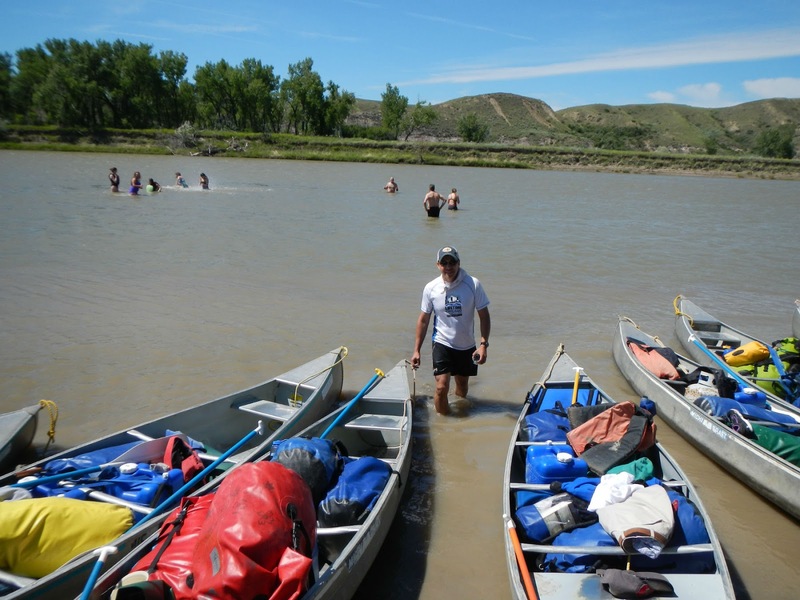 Each year we venture to the wild and scenic section of the Missouri River to enjoy a 3-day float with our fathers and daughters. It's a beautiful paddle, complete with golden eagles, bald eagles, fish, canyons, and unique rock formations. Our girls paddle in a canoe with their dads, singing or chatting down the river. We stop for lunch along the banks each day, even finding time for afternoon swims. 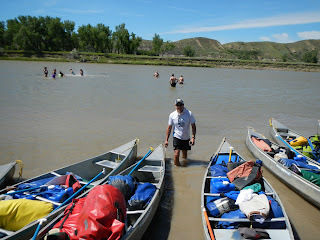 Though the trip certainly requires physical strength, it is typically a casual paddle with plenty of time for bonding. This year, however, was much different. The wind was in our face each day, requiring extra strength and perseverance. Dads and daughters pushed through together. We even had an intense lightning storm and strong winds that damaged several tents. Each obstacle proved to be a learning and bonding experience; students, dads, and staff rallied together to fix tents in the middle of the storm. One student commented afterwards, "If this had happened a year ago, I would have only cared about my own things, but we were all helping each other out. Think about how we've changed!" Girl time is so important for our students. Thus, each year we ensure that moms spend quality time with their daughters. This year, we were at Flathead Lutheran Bible Camp on Flathead Lake, staying in bunk cabins. Activities varied from tubing and waterskiing, to canoeing and kayaking. Spending time in the great outdoors is a fabulous way for moms and their daughters to bond and unwind. In conjunction with all the fun, we made sure to do lots of in-depth family work during this weekend. We focused specifically on ensuring that mothers and daughters pay attention to the quality of their relationships and their connections with each other. 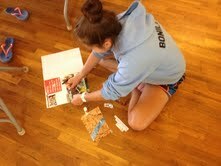 One way we emphasized this was through triptych art collages. Each collage depicted the mother-daughter relationship in the past, present, and their hopeful depiction of the future. Our students and parents loved being able to express their feelings, without having to use words. All too quickly, the weekend was over. It was a very productive and enjoyable few days for our moms and daughters. They shared the happy, nurturing moments and expressed gratitude. We are so excited to bring our moms back next year. There’s nothing like art and s’mores to bring us together.